Support KBEP through AmazonSmile ! 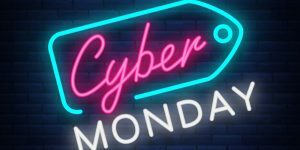 This Cyber Monday check off items on your holiday list and support KBEP by shopping through AmazonSmile! Use this link to select the Katie Brown Educational Program as your preferred charity and Amazon will donate .5% of the price of your eligible Amazon purchases to the Katie Brown Educational Program! Supporting our program is easy! Just follow the five easy steps below (two minutes) to add KBEP as your charity, and begin shopping! Enter your Amazon username and password. You will then be directed to a page that says “Select a Charitable Organization to Start Shopping”. At the bottom of the page where it says “or pick your own charitable organization,” type “Katie Brown Educational Program,” and click Search. Then, select the Katie Brown Educational Program. You’ll know that you’ve done it correctly because under the search bar it’ll say “supporting: Katie Brown Educational Program. Also, if you’ve previously supported another organization and wish to change your organization to Katie Brown Educational Program (thank you), simply log into your account, go to “my account” and click change my charity. From there you will follow the same steps.